I’m officially more than halfway done with the trail. 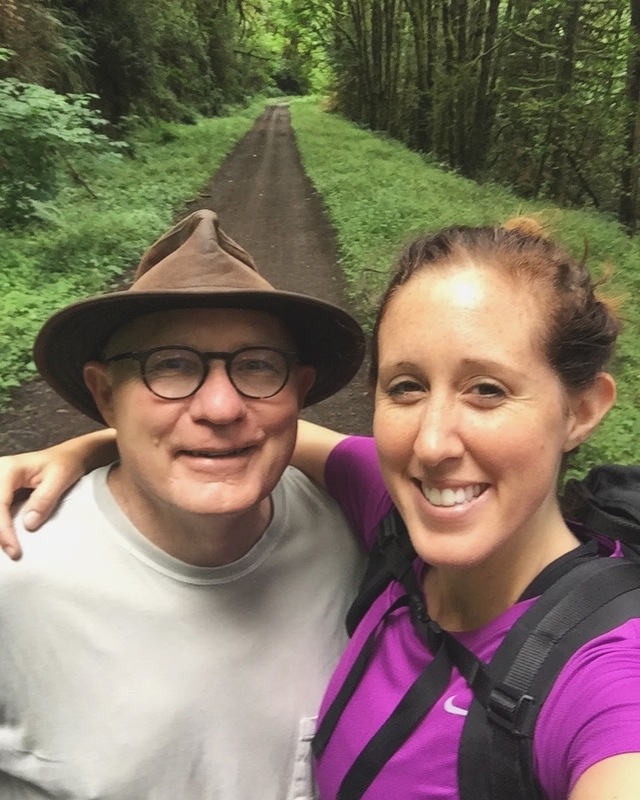 My Dad wrote me a letter for my birthday a week ago and coupled with my crossing the halfway point on the trail, it seemed appropriate to share. So, with his permission, I’m posting it here. Happy Birthday! 29 years ago, the day you were born, I could not have imagined where you would be today! It was clear though that you were going to be a force of nature. The Gods forewarned us the afternoon you were born. There was a magnitude 4.8 earthquake while you were being delivered. Should have seen this coming…. You have always been an independent thinker and doer. Much to our chagrin and anxiety. Although that causes a parent much worry, it also gives us a certain trust that you will in fact, come out of things ok.
You are also a bit of an adventurer. This part sort of surprised us since you didn’t stray far as a child. Although you liked going camping, it wasn’t a first choice activity. But as you grew into an adult, these twin rivers of drive, independence and adventure, became interwoven and you have initiated, begun, and completed some real adventures. Drives across country, a year in the Southeast Asia (remember that? No money, no job? But yet, it turned out to be one of the best things you ever did…), and then the whole idea of an AT thruhike. Your Grandfather and I both dreamed of doing this. He grew up in Knoxville, Tennessee. Your Great Grandparents often took him hiking into the Great Smokey Mountains. Growing up in a circumscribed world, the trail to him was a pathway to the greater world outside. But, a war, a marriage, kids, and a career would derail that thought. But he often talked to me about that trail, how it was a path through the woods to a different world. He in turn took me hiking and walking, almost every week, into the mountains of Northern Arizona, and the sage desert lands of the Little Colorado River Valley. I got to wander for miles through wild and hidden lands. When you born, I took you camping your first year, and then every year as often as I could. We usually went to Tuolumne Meadows in Yosemite. The wild center for our family. You, your brother, your cousins, your Uncles, all of us went into the wild and walked the trails, swam in the lakes, and climbed the boulders and peaks around the Tuolumne. 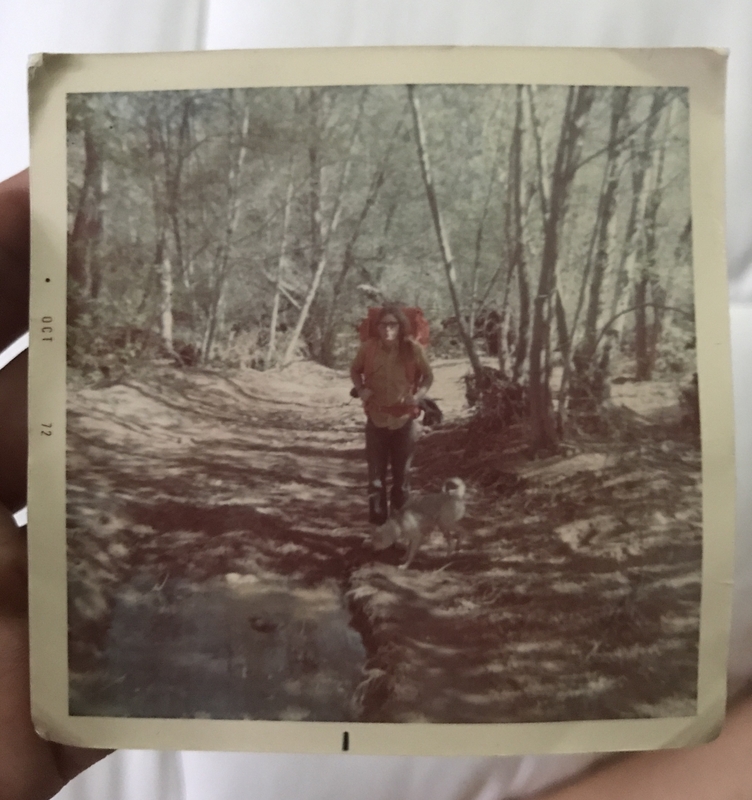 I talked about Grandpa’s dream, and how I had always fantasized about that hike. Imagine, 2,200 miles ahead of you. Time would stand still. Your life, as you knew it, would change as you left the old behind, stepped into a different lane, and then off towards the unknown! But alas, for Grandpa, for me… it was to remain a fantasy. But you would change that. Out of the blue a couple of years ago, you mentioned you were thinking about. This idea, I came to realize, was not a fleeting one. When you said you were going to quit a perfectly good job, leave all of your friends and family behind, and hike the Appalachian Trail, from end to end, I thought you were crazy. Yet, deep inside, I know and feel the dream, and would give anything to also set everything aside to take that walk. That doesn’t mean that for us this isn’t full of anxiety and worry. You are beyond our reach to help, you are on your own. But for every anxious moment, there is one full of pride, for every worry, there is excitement for you. We live vicariously through your postings, walking beside you, trying to imagine the sights, the smells, the sounds. The experiences you are having will last a lifetime, and we are all following it step by step. You are now over one thousand miles into this hike. Imagine that! You should be proud of yourself. You have had all kinds of aches, physical, emotional, and mental, you have waivered, you have almost stopped, but you kept going, and have become stronger. I remember you quoting someone (forgot who) when you said ‘Never quit on a bad day’.. and you didn’t. I commented on your blog initially with this quote, and I still think it is the most appropriate, so I end here and repeat it. God Speed! We love you. See you on Mount Katahdin! Wonderful letter from your Dad, thank you both for sharing. The best thing I’ve ever done was hiking half the Trail with my son (he had to go back for college). I went on to finish and have since hiked it again and the southern half with my wife 2 years ago. The Trail becomes part of you.